Not every life jacket is the same. 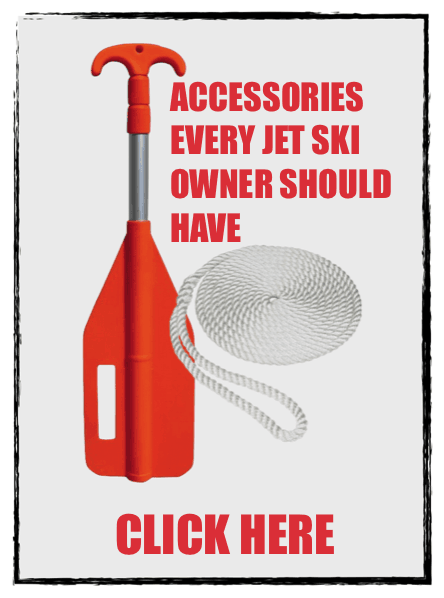 You have life jackets for boats, jet ski’s, kayaking, swimming, and much more. We put together this guide to help you understand what is the best life jacket for your needs. Having the right life jacket is not only necessary for safety but also to keep you legal. You must have a coast guard approved life jacket made for a Jet Ski. You can not use the basic boat life jackets; most states will give you a big ticket if you do. You want a life jacket like this one here that has a hook on the bottom part so that you can have a place to attach your key for your watercraft. 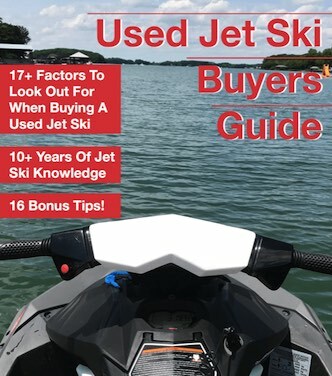 Most Jet Ski’s have a key that connects to the life jacket in case you fall off – this shuts the engine off. When it comes to jet ski life jackets you have two types to choose from, Neoprene and Nylon. Neoprene: Neoprene has my pick for the best jet ski life jacket! When it comes to comfort the Neoprene life jackets are probably the best compared to Nylon. Neoprene is great to wear for long periods of time and feel the best on your shoulders. But when wet it can feel the heaviest and can feel warmer too. There is AirFlow style Neoprene that fixed the issues of Neoprene but also cost more. The biggest downside of Neoprene compared to most other jet ski life jackets is that they cost more. Nylon: If you want just a simple and affordable life jacket then Nylon like this one is the way to go. I actually use Nylon for all my life jackets and I order a bunch of them too so that I have one of every size when company comes over to ride. Men’s or Women’s: They do make life jackets for both women and men. Actually, all men’s life jackets are unisex so both men and women can wear them. But, life jackets made for women are only made for women. So why do women get their own life jackets? The cut around the armholes and chest area is very different along with the lower trim of the life jacket. The sizes are also different and tend to run smaller. One interesting thing about women’s life jackets is that they usually have some flower design on them to help differ them from the unisex life jackets. The most common mistake people make when buying a Life Jacket is that they go by T-Shirt Sizes. If you wear a large T-shirt you might not fit in a Large Life Jacket. This is why when I get a new Jet Ski I always get one of every size life jacket, because when friends and family come over I have enough sizes for everyone. Now, I’m not saying to literally buy one of every size but what I do is buy one small, 2 large’s, 2 XL’s, and one 3XL. I find this combination to be the best as most adults can either fit the large or the XL’s. Kid Sizes: When it comes to life jackets for kids the best way is to take them to a place that sells life jackets and let them try it on. How do you know it fits? How will you know your adult size life jackets fit your adult frame? When you put the life jacket on and buckle it up and tighten the straps it should feel comfy and not too restricting. To make sure it will work well for you, grab the bottom of the life jacket and try to lift up on it. If the shoulder straps go over your neck and past your jaw then the life jacket is too big. The life jacket shouldn’t move much at all if you lift on it. Don’t Forget This!!!!!! You need a whistle for every life jacket you own. The kind of Whistle you need is a Whistle like this one here that is made for boating. It’s best to strap them to the life jacket so that they are within reach if you ever have to use it. These life jackets are great for when you’re being pulled by a boat or jet ski. These jackets normally have a zipper on them to help keep it secured when being pulled. This type of life jacket can withstand greater forces on it which you’ll experience if you wipeout. Here is a Wake Series Life Jacket I like to use Here. When kayaking you’ll need to be able to move your arms freely and most life jackets hinder this movement. a Kayaking life vest will give you the freedom you need while still giving you the safety you need from a life jacket. Some even have extra storage on them since storage is a premium on a life jacket. These can also be used for paddle boards too! Here is a Kayak Life Jacket I like to use Here.